~Beauty In the Storm ~: Marriage Is More Than "Having Fun"
I see a lot of young couples who are dating and in relationships. It is so great to see them laughing together and having fun together. But as the relationship matures and goes on, I often watch to see if things will change. 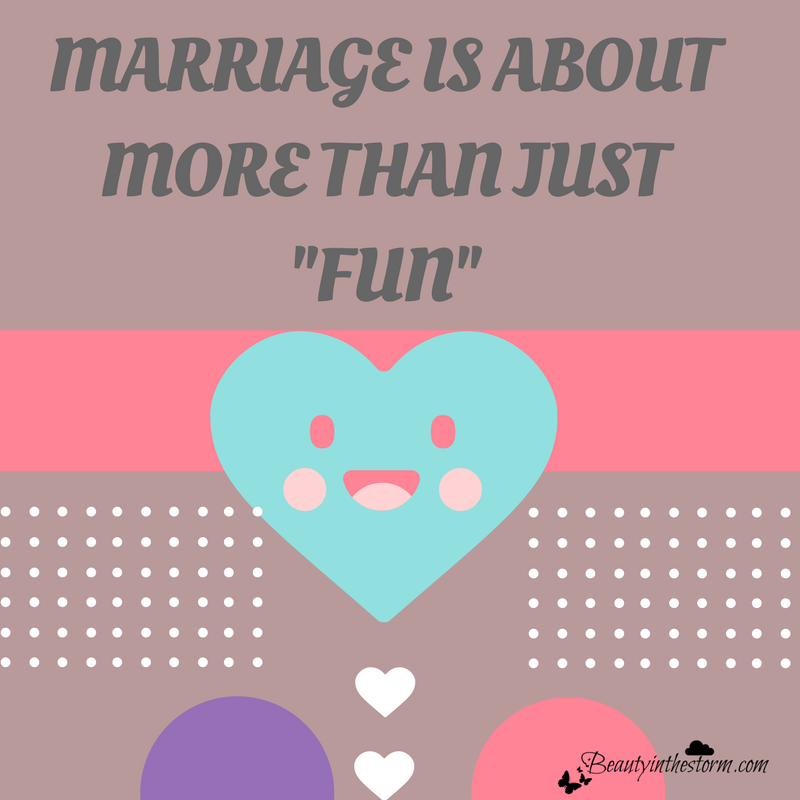 For marriage is about more than just “having fun.” And this is a lesson young people need to learn. If I could speak to young couples who are dating, I would tell them to find someone who is honest. Look for that person who you can trust – for trust will be so vital in a marriage relationship! I’d tell the young ladies to find a young man who is chivalrous. Does he open doors for you? Does he walk closest to the street to protect you from traffic? Does he let you go first in the shower, eat the last bite of leftovers? Or does he think of himself first? I’d tell young couples to watch how the other person is with finances. Do they actively save money and think of the future? Do they work hard to get a job, and keep one? Does your dating partner have humility or do they always have to be right? Are they good at being open to other opinions? Do they have a strong sense of morals and values? These are all things that are very important in a relationship. Things that can cause arguments down the road if you aren’t in sync with one another. It’s great to have “fun” together. 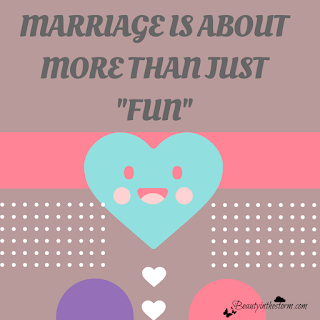 Fun will be important during certain phases of marriage. It will help you keep things in perspective. It will help your temper simmer after an argument. But “fun” won’t pay the bills. It won’t take care of you when you’re exhausted and sick. “Fun” won’t raise mature, grounded children. So, look for more than “fun.” Yes, have fun. But add to it. Add to it integrity, character, depth, and vision. Give the relationship time to evolve in different circumstances and around different people so that you can see each other in their full light. Choosing a spouse for a lifetime isn’t to be taken lightly. So although having fun is “fun,” it isn’t something to hinge a huge decision on. You have to use your head along with your heart. It’s in your best interests.